Hello! 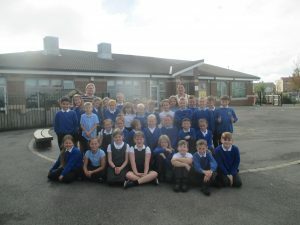 Year 4 is made up of 35 children; our teacher is Mrs Wardle and our teaching assistant in Miss Woods. This term we are looking forward to learning all about the Ruthless Romans including the spread of the Roman Empire and it’s impact on Britain, the Roman army, famous Romans and the rebellion of Boudicca. We will be visiting Segedunum as part of our Wow Week. Year 4 also have a tri-golf tournament to look forward to. Check back on our page to see how we get on! In Year 4, we had our first gymnastic session this week with our coach. We impressed him with our balancing and rolling skills. Check back over the next few weeks to see how we get on. 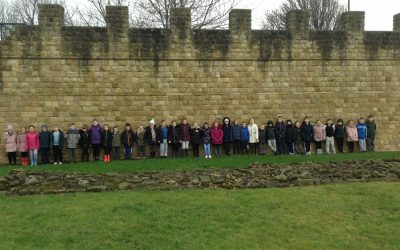 This week, Year 4 enjoyed a visit to the Roman Fort of Segedunum as part of our Ruthless Romans topic. We were put through our paces as Roman recruits, training to become soldiers. We also explored the ruins and found about life for soldiers living on the fort many years ago. 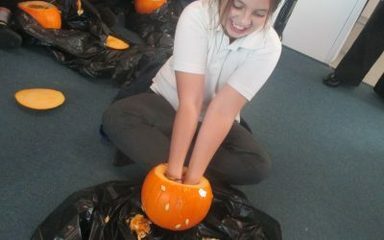 Have a look through our pictures to see what we got up to. 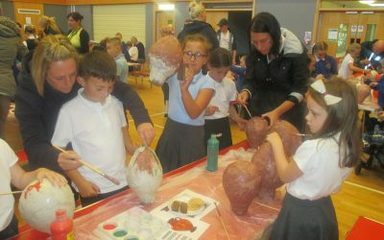 As part of our WOW Week on the Romans, we invited our families in to school to work alongside us. 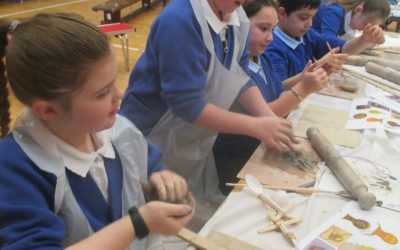 We had a fab morning creating Roman amulets from clay, designing our own mosaics and built Roman Scorpion and Ballista catapults. We then tested our aim at the targets! 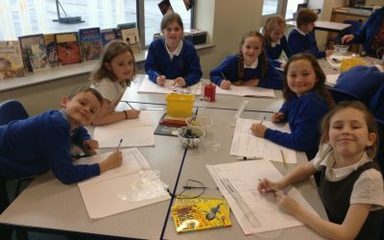 Over the last couple of weeks, Year 4 have been investigating the speed of evaporation. 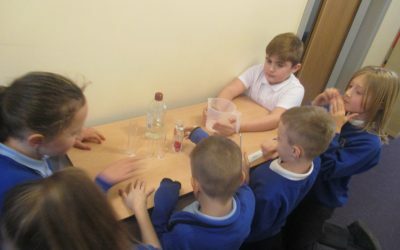 Some children set up an investigation with water located in a range of locations; Some children also looked at a range of liquids in the same location. 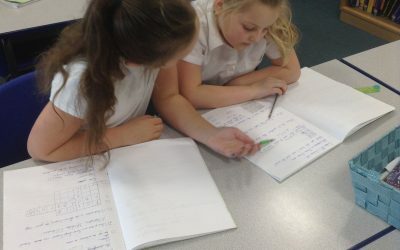 They observed changes over the week and recorded their findings. 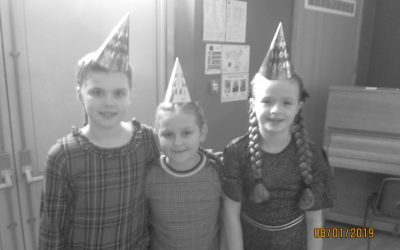 This week, we have been learning all about the spread of the Roman Empire and what life was like as a Roman soldier. We used our knowledge to create our own quizzes then tested our friends to see how many questions they could answer. Year 4 have been creating electrical circuits to test insulators and conductors. We designed our own experiments and loved testing them to find out the results. 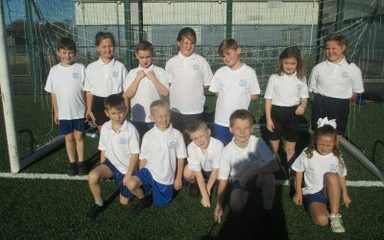 Last week, some of our Year 4 children took part in a Hockey tournament with other local schools. 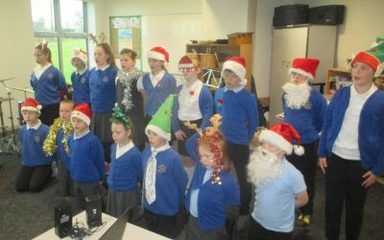 We are so proud of you all – well done for superb skills, behaviour and attitude! A huge thank you to all of the family and friends of our Year 4 children for attending our Greek WOW morning. It was great to see so many of you at school. We all had a super morning painting our Greek vases, writing hidden messages to each other using the Greek alphabet and even tasting Greek food whilst being blindfolded. 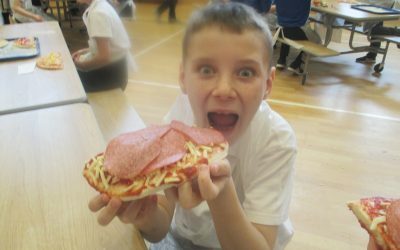 Have a look at the photos for some fab reactions.